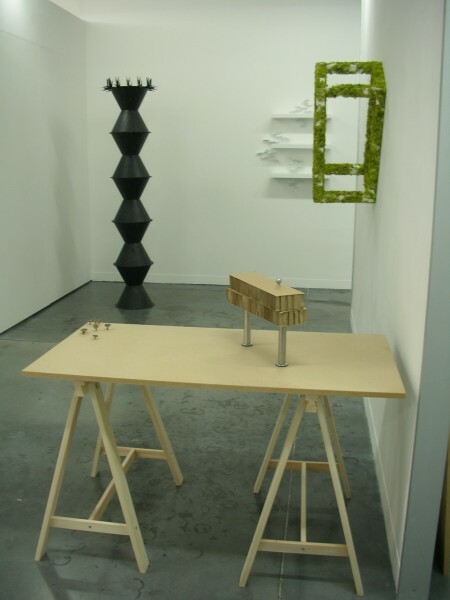 Mixed media: stainless steel ironmongery, cardboard packing, mdf, timber trestles and bronze. 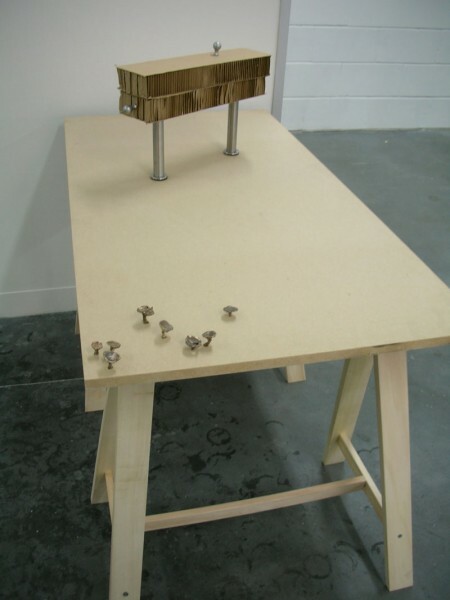 Pieces of packaging, embellished with architectural ironmongery, shown on a workmanlike trestle table, look like a work-in-progress. The bronze mushroom-like pieces, which will perhaps invade the table from the corner, are a metaphor for uncontrollable forces which can interrupt attempts at perfection and control.